A unique atmosphere, elegant halls, exquisite food: all these elements will make your event stay long in your Guests’ memory. We invite you to organise your special event at MCC Mazurkas Conference Centre & Hotel. Weddings are landmark events in people’s lives. They stays in one’s memory for years. 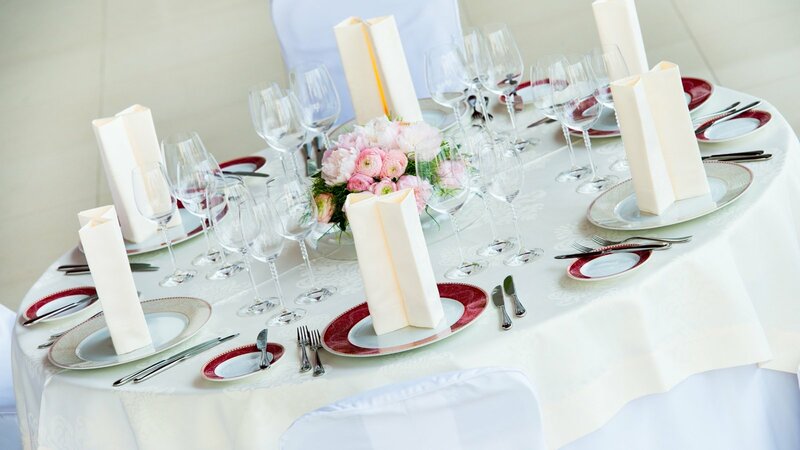 The appearance and ambience of the venue are therefore very important, as well as professional service. We are sure that you will make the right choice if you decide to organise your wedding at MCC Mazurkas Conference Centre & Hotel. We provide elegant and spacious halls whose layout is specially prepared for your wedding, as well as glazed entrance areas and lobbies, a restaurant and a green area located just next to the wedding halls. This diversified banquet space makes it possible to organise small wedding dinners for a limited number of guests as well as parties for 600 people. parking spaces for the Newlyweds and for the wedding Guests. Meals for children aged less than 5 are offered at no extra charge, while meals for children aged 6–12 cost only 50% of the regular price. KRONOS HALL - 180 m2 for a wedding dinner for 100 people. We have prepared a special surprise for Newlyweds organising their wedding at MCC Mazurkas Conference Centre & Hotel. As a gift from the Mazurkas Hotel, you will be invited to have dinner there and to stay the night to celebrate your first wedding anniversary. Our experienced Team will be glad to help you and advise you. Please contact us to obtain the full offering. I’d like to thank you very much for preparing yesterday’s party. Everything was perfect, from the organisation to the actual event. Big thanks to the head chef, and above all kudos to the waiting staff: they were professional, kind and helpful. The wedding cake was amazing, one of the best I’ve had. Thanks once again! Thank you Agata for organising the first communion lunch. We are very grateful for the extremely kind and professional approach. Kudos to the Head Chef and to the waiting staff for the excellent service and the exquisite food. for enabling us to organise our wedding as we wanted it, without imposing anything or persuading us to do anything. Your questions sometimes seemed totally weird to us (for instance that about the stage for the band, whether it was supposed to be 40 or 60 cm high :D), but we felt all the way that it was our night and that you’d do everything exactly as we requested and as we dreamt. for the visuals displayed on the screens next to the rooms: the day before, when we arrived to practice our dance, we felt very nice. for our beautiful cake! It wouldn’t have succeeded had it not been for you Ladies! A big hand for the pâtissiers, too! for simply being there and looking after the whole thing as much as you could. Please give our thanks to the maters of ceremony, to the chefs and waiting staff (Marcin thanked them personally in the early morning too) and to the whole staff in general. It was so nice to receive the wishes and the words of support even from the cleaners or the reception staff. When I sat at our table for a few minutes during the party and I looked at the amazingly prepared hall and at the dance floor full of guests having fun, I breathed a sigh of relief and felt happy that we’d chosen Mazurkas. We’d seen many halls, but the decision to choose Mazurkas wasn’t based on the first impressions and the nice hall, but on the whole range of the company’s activities. Our decision was influenced by the fact that you support some social initiatives and NGO actions from time to time, that the hotel is owned by Polish people, and that it’s a Polish company. In your case, “Polish” doesn’t mean poor, kitschy, unfashionable and rough, as one could describe many wedding venues.